Since Dizzy Gillespie and Chano Pozo birthed “Manteca” in the ’40s just as Cuban musicians like Machito were shaking up New York’s jazz scene, Afro-Cuban jazz has continued to entice and fascinate North American musicians into new collaborations and explorations. In 2013 Bunnett noticed a longstanding disparity: She’d mostly collaborated with men, especially instrumentalists. In response, she helped establish Maqueque, an all-female band of young Cuban artists blending folkloric Cuban music and jazz. 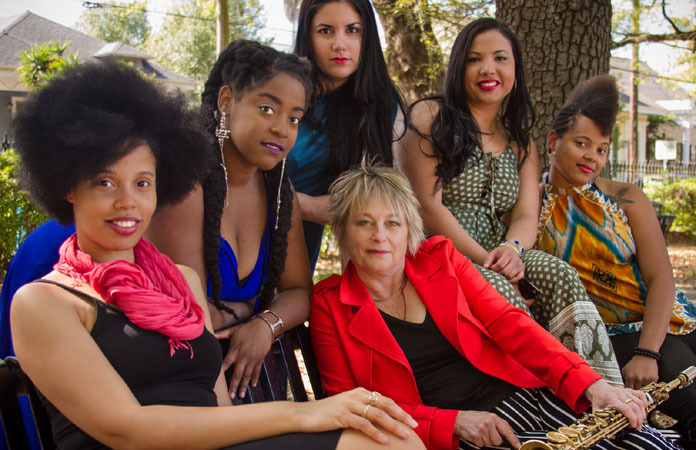 In this episode of Jazz Night in America, we’ll hear Maqueque’s exhilarating performance from Jazz at Lincoln Center, spend some time with Bunnett, learn of a devotion to an ever-growing Cuban musical family and hear from some of the women of Maqueque on their decisions to leave Cuba to pursue a music career. We’ll even take a stop in Miami, Florida to introduce the band to the Little Havana neighborhood.